Liczba stron: 183 Jest to ujednolicona liczba stron, która ułatwi Ci porównanie długości książek. Każda strona Legimi to 200 słów. 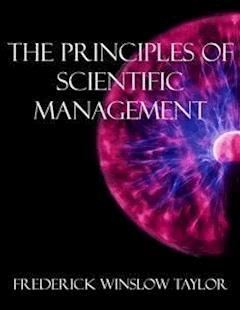 The Principles of Scientific Management is a monograph published by Frederick Winslow Taylor in 1911. This influential monograph, which laid out The Principles of Scientific Management, is a seminal text of modern organization and decision theory and has motivated administrators and students of managerial technique. Taylor was an American manufacturing manager, mechanical engineer, and then a management consultant in his later years. He is often called "The Father of Scientific Management". His approach is also often referred to as Taylor's Principles, or Taylorism.He listed three goals for the work:First. To point out, through a series of simple illustrations, the great loss which the whole country is suffering through inefficiency in almost all of our daily acts.Second. To try to convince the reader that the remedy for this inefficiency lies in systematic management, rather than in searching for some unusual or extraordinary man.Third. To prove that the best management is a true science, resting upon clearly defined laws, rules, and principles, as a foundation. And further to show that the fundamental principles of scientific management are applicable to all kinds of human activities, from our simplest individual acts to the work of our great corporations, which call for the most elaborate cooperation. And, briefly, through a series of illustrations, to convince the reader that whenever these principles are correctly applied, results must follow which are truly astounding.Frederick Winslow Taylor (1856-1915), widely known as F. W. Taylor, was an American mechanical engineer who sought to improve industrial efficiency. He is regarded as the father of scientific management, and was one of the first management consultants. Taylor was one of the intellectual leaders of the Efficiency Movement and his ideas, broadly conceived, were highly influential in the Progressive Era. President Roosevelt in his address to the Governors at the White House, prophetically remarked that "The conservation of our national resources is only preliminary to the larger question of national efficiency." The whole country at once recognized the importance of conserving our material resources and a large movement has been started which will be effective in accomplishing this object. As yet, however, we have but vaguely appreciated the importance of "the larger question of increasing our national efficiency." We can see our forests vanishing, our water-powers going to waste, our soil being carried by floods into the sea; and the end of our coal and our iron is in sight. But our larger wastes of human effort, which go on every day through such of our acts as are blundering, ill-directed, or inefficient, and which Mr. Roosevelt refers to as a, lack of "national efficiency," are less visible, less tangible, and are but vaguely appreciated. We can see and feel the waste of material things. Awkward, inefficient, or ill-directed movements of men, however, leave nothing visible or tangible behind them. Their appreciation calls for an act of memory, an effort of the imagination. And for this reason, even though our daily loss from this source is greater than from our waste of material things, the one has stirred us deeply, while the other has moved us but little. As yet there has been no public agitation for "greater national efficiency," no meetings have been called to consider how this is to be brought about. And still there are signs that the need for greater efficiency is widely felt. The search for better, for more competent men, from the presidents of our great companies down to our household servants, was never more vigorous than it is now. And more than ever before is the demand for competent men in excess of the supply. In the past the prevailing idea has been well expressed in the saying that "Captains of industry are born, not made"; and the theory has been that if one could get the right man, methods could be safely left to him. In the future it will be appreciated that our leaders must be trained right as well as born right, and that no great man can (with the old system of personal management) hope to compete with a number of ordinary men who have been properly organized so as efficiently to cooperate. First.To point out, through a series of simple illustrations, the great loss which the whole country is suffering through inefficiency in almost all of our daily acts. Third.To prove that the best management is a true science, resting upon clearly defined laws, rules, and principles, as a foundation. And further to show that the fundamental principles of scientific management are applicable to all kinds of human activities, from our simplest individual acts to the work of our great corporations, which call for the most elaborate cooperation. And, briefly, through a series of illustrations, to convince the reader that whenever these principles are correctly applied, results must follow which are truly astounding. The words "maximum prosperity" are used, in their broad sense, to mean not only large dividends for the company or owner, but the development of every branch of the business to its highest state of excellence, so that the prosperity may be permanent. In the same way maximum prosperity for each employee means not only higher wages than are usually received by men of his class, but, of more importance still, it also means the development of each man to his state of maximum efficiency, so that he may be able to do, generally speaking, the highest grade of work for which his natural abilities fit him, and it further means giving him, when possible, this class of work to do. It would seem to be so self-evident that maximum prosperity for the employer, coupled with maximum prosperity for the employee, ought to be the two leading objects of management, that even to state this fact should be unnecessary. And yet there is no question that, throughout the industrial world, a large part of the organization of employers, as well as employees, is for war rather than for peace, and that perhaps the majority on either side do not believe that it is possible so to arrange their mutual relations that their interests become identical. The majority of these men believe that the fundamental interests of employees and employers are necessarily antagonistic. Scientific management, on the contrary, has for its very foundation the firm conviction that the true interests of the two are one and the same; that prosperity for the employer cannot exist through a long term of years unless it is accompanied by prosperity for the employee, and vice versa; and that it is possible to give the workman what he most wants—high wages—and the employer what he wants—a low labor cost—for his manufactures. It is hoped that some at least of those who do not sympathize with each of these objects may be led to modify their views; that some employers, whose attitude toward their workmen has been that of trying to get the largest amount of work out of them for the smallest possible wages, may be led to see that a more liberal policy toward their men will pay them better; and that some of those workmen who begrudge a fair and even a large profit to their employers, and who feel that all of the fruits of their labor should belong to them, and that those for whom they work and the capital invested in the business are entitled to little or nothing, may be led to modify these views. The truth of this fact is also perfectly clear in the case of two men working together. To illustrate: if you and your workman have become so skilful that you and he together are making two pairs of, shoes in a day, while your competitor and his workman are making only one pair, it is clear that after selling your two pairs of shoes you can pay your workman much higher wages than your competitor who produces only one pair of shoes is able to pay his man, and that there will still be enough money left over for you to have a larger profit than your competitor. In the case of a more complicated manufacturing establishment, it should also be perfectly clear that the greatest permanent prosperity for the workman, coupled with the greatest prosperity for the employer, can be brought about only when the work of the establishment is done with the smallest combined expenditure of human effort, plus nature's resources, plus the cost for the use of capital in the shape of machines, buildings, etc. Or, to state the same thing in a different way: that the greatest prosperity can exist only as the result of the greatest possible productivity of the men and machines of the establishment—that is, when each man and each machine are turning out the largest possible output; because unless your men and your machines are daily turning out more work than others around you, it is clear that competition will prevent your paying higher wages to your workmen than are paid to those of your competitor. And what is true as to the possibility of paying high wages in the case of two companies competing close beside one another is also true as to whole districts of the country and even as to nations which are in competition. In a word, that maximum prosperity can exist only as the result of maximum productivity. Later in this paper illustrations will be given of several companies which are earning large dividends and at the same time paying from 30 per cent to 100 per cent higher wages to their men than are paid to similar men immediately around them, and with whose employers they are in competition. These illustrations will cover different types of work, from the most elementary to the most complicated. If the above reasoning is correct, it follows that the most important object of both the workmen and the management should be the training and development of each individual in the establishment, so that he can do (at his fastest pace and with the maximum of efficiency) the highest class of work for which his natural abilities fit him. These principles appear to be so self-evident that many men may think it almost childish to state them. Let us, however, turn to the facts, as they actually exist in this country and in England. The English and American peoples are the greatest sportsmen in the world. Whenever an American workman plays baseball, or an English workman plays cricket, it is safe to say that he strains every nerve to secure victory for his side. He does his very best to make the largest possible number of runs. The universal sentiment is so strong that any man who fails to give out all there is in him in sport is branded as a "quitter," and treated with contempt by those who are around him. When the same workman returns to work on the following day, instead of using every effort to turn out the largest possible amount of work, in a majority of the cases this man deliberately plans to do as little as he safely can to turn out far less work than he is well able to do in many instances to do not more than one-third to one-half of a proper day's work. And in fact if he were to do his best to turn out his largest possible day's work, he would be abused by his fellow-workers for so doing, even more than if he had proved himself a "quitter" in sport. Under working, that is, deliberately working slowly so as to avoid doing a full day's work, "soldiering," as it is called in this country, "hanging it out," as it is called in England, "ca canae," as it is called in Scotland, is almost universal in industrial establishments, and prevails also to a large extent in the building trades; and the writer asserts without fear of contradiction that this constitutes the greatest evil with which the working-people of both England and America are now afflicted. It will be shown later in this paper that doing away with slow working and "soldiering" in all its forms and so arranging the relations between employer and employs that each workman will work to his very best advantage and at his best speed, accompanied by the intimate cooperation with the management and the help (which the workman should receive) from the management, would result on the average in nearly doubling the output of each man and each machine. What other reforms, among those which are being discussed by these two nations, could do as much toward promoting prosperity, toward the diminution of poverty, and the alleviation of suffering? America and England have been recently agitated over such subjects as the tariff, the control of the large corporations on the one hand, and of hereditary power on the other hand, and over various more or less socialistic proposals for taxation, etc. On these subjects both peoples have been profoundly stirred, and yet hardly a voice has been raised to call attention to this vastly greater and more important subject of "soldiering," which directly and powerfully affects the wages, the prosperity, and the life of almost every working-man, and also quite as much the prosperity of every industrial, establishment in the nation. The elimination of "soldiering" and of the several causes of slow working would so lower the cost of production that both our home and foreign markets would be greatly enlarged, and we could compete on more than even terms with our rivals. It would remove one of the fundamental causes for dull times, for lack of employment, and for poverty, and therefore would have a more permanent and far-reaching effect upon these misfortunes than any of the curative remedies that are now being used to soften their consequences. It would insure higher wages and make shorter working hours and better working and home conditions possible. Why is it, then, in the face of the self-evident fact that maximum prosperity can exist only as the result of the determined effort of each workman to turn out each day his largest possible day's work, that the great majority of our men are deliberately doing just the opposite, and that even when the men have the best of intentions their work is in most cases far from efficient? First. The fallacy, which has from time immemorial been almost universal among workmen, that a material increase in the output of each man or each machine in the trade would result in the end in throwing a large number of men out of work. Second. The defective systems of management which are in common use, and which make it necessary for each workman to soldier, or work slowly, in order that he may protect his own best interests. Third. The inefficient rule-of-thumb methods, which are still almost universal in all trades, and in practicing which our workmen waste a large part of their effort. This paper will attempt to show the enormous gains which would result from the substitution by our workmen of scientific for rule-of-thumb methods. First. The great majority of workmen still believe that if they were to work at their best speed they would be doing a great injustice to the whole trade by throwing a lot of men out of work, and yet the history of the development of each trade shows that each improvement, whether it be the invention of a new machine or the introduction of a better method, which results in increasing the productive capacity of the men in the trade and cheapening the costs, instead of throwing men out of work make in the end work for more men. The cheapening of any article in common use almost immediately results in a largely increased demand for that article. Take the case of shoes, for instance. The introduction of machinery for doing every element of the work which was formerly done by hand has resulted in making shoes at a fraction of their former labor cost, and in selling them so cheap that now almost every man, woman, and child in the working-classes buys one or two pairs of shoes per year, and wears shoes all the time, whereas formerly each workman bought perhaps one pair of shoes every five years, and went barefoot most of the time, wearing shoes only as a luxury or as a matter of the sternest necessity. In spite of the enormously increased output of shoes per workman, which has come with shoe machinery, the demand for shoes has so increased that there are relatively more men working in the shoe industry now than ever before. The workmen in almost every trade have before them an object lesson of this kind, and yet, because they are ignorant of the history of their own trade even, they still firmly believe, as their fathers did before them, that it is against their best interests for each man to turn out each day as much work as possible. Under this fallacious idea a large proportion of the workmen of both countries each day deliberately work slowly so as to curtail the output. Almost every labor union has made, or is contemplating making, rules which have for their object curtailing the output of their members, and those men who have the greatest influence with the working-people, the labor leaders as well as many people with philanthropic feelings who are helping them, are daily spreading this fallacy and at the same time telling them that they are overworked. A great deal has been and is being constantly said about "sweat-shop" work and conditions. The writer has great sympathy with those who are overworked, but on the whole a greater sympathy for those who are under paid. For every individual, however, who is overworked, there are a hundred who intentionally under work—greatly under work—every day of their lives, and who for this reason deliberately aid in establishing those conditions which in the end inevitably result in low wages. And yet hardly a single voice is being raised in an endeavor to correct this evil. As engineers and managers, we are more intimately acquainted with these facts than any other class in the community, and are therefore best fitted to lead in a movement to combat this fallacious idea by educating not only the workmen but the whole of the country as to the true facts. And yet we are practically doing nothing in this direction, and are leaving this field entirely in the hands of the labor agitators (many of whom are misinformed and misguided), and of sentimentalists who are ignorant as to actual working conditions. Second. As to the second cause for soldiering—the relations which exist between employers and employees under almost all of the systems of management which are in common use—it is impossible in a few words to make it clear to one not familiar with this problem why it is that the ignorance of employers as to the proper time in which work of various kinds should be done makes it for the interest of the workman to "soldier." "This loafing or soldiering proceeds from two causes. First, from the natural instinct and tendency of men to take it easy, which may be called natural soldiering.Second, from more intricate second thought and reasoning caused by their relations with other men, which may be called systematic soldiering." "There is no question that the tendency of the average man (in all walks of life) is toward working at a slow, easy gait, and that it is only after a good deal of thought and observation on his part or as a result of example, conscience, or external pressure that he takes a more rapid pace." "There are, of course, men of unusual energy, vitality, and ambition who naturally choose the fastest gait, who set up their own standards, and who work hard, even though it may be against their best interests. But these few uncommon men only serve by forming a contrast to emphasize the tendency of the average." "This common tendency to 'take it easy' is greatly increased by bringing a number of men together on similar work and at a uniform standard rate of pay by the day." "Under this plan the better men gradually but surely slow down their gait to that of the poorest and least efficient. When a naturally energetic man works for a few days beside a lazy one, the logic of the situation is unanswerable." "Why should I work hard when that lazy fellow gets the same pay that I do and does only half as much work?" "A careful time study of men working under these conditions will disclose facts which are ludicrous as well as pitiable."